It is November 11th, which means today is Pepero Day, and it is time to give heartfelt gifts of chocolate-dipped cookie-stick goodness to your loved ones. For those of you who don’t know, Pepero Day is a *totally* manufactured holiday in Korea that caught on and is now awesome. It is always November 11th because that makes the date 11-11, which looks like the Pepero sticks. How wonderful is that? The day is also celebrated to a lesser extent in Japan as Pocky Day. In both countries, November is fabulous because all sorts of special editions of the snacks are released. Brightly colored boxes of joy all over the place. And AND I have two boxes of Fran. One person will get the chocolate, and one person will get the white. What is Fran, you say? Why it is much like Pepero and Pocky but hella decadent. And it’s in stick form so it qualifies in today’s celebration. Can you tell how much I love you? That’s a total of four Pepero Day gifts. All you have to do to win one of these is to comment on this (http://rowanmcbride.blogspot.com/) blog post. You have until 11:59pm tonight (11-11-12), Central Standard Time to play. Winners will be announced on this blog (http://rowanmcbride.blogspot.com/) 11-13-12 (Nov. 13, 2012). It’s also Veteran’s Day. As I understand it, Sandy knocked out the Manhattan VA Hospital as well as the regional Veterans’ Assistance office. If you are one of the vets affected, the Maddow Blog has a list of resources you might be able to use, including how to get emergency refills of your meds. Stay strong. Stay safe. And thank you for your service to our country. 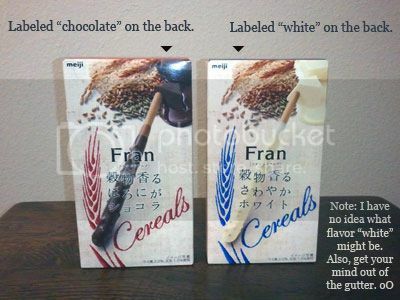 This entry was posted on Sunday, November 11th, 2012 at 12:01 AM and is filed under Contests, Pepero Day, Veterans Day. You can follow any responses to this entry through the RSS 2.0 feed. You can leave a response, or trackback from your own site. I love Pocky! 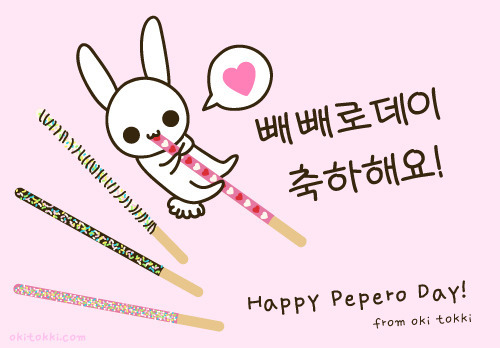 And I want to Celebrate Pepero Day, starting now. What a sweet idea. 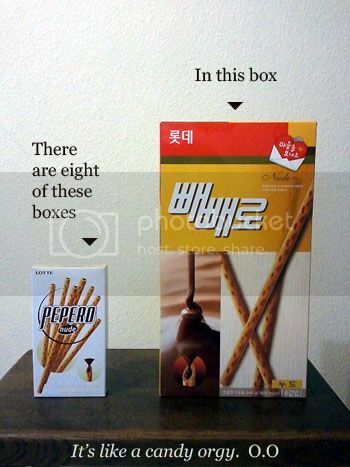 I’m sure that Pepero go great with coffee. Best ever! Thanks! I love Pocky! You love Pocky. We all love Pocky! Pocky for one and all!!! Yum, those look AWESOME! Count me in for the giveaway! 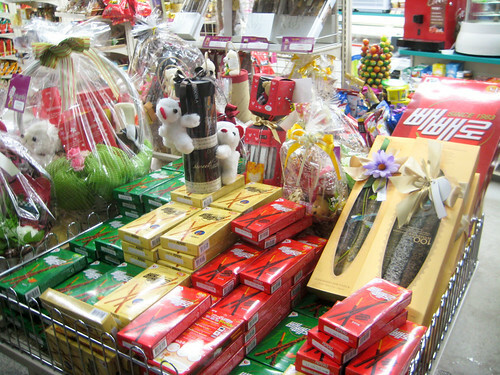 Yeah, I don’t mind that Pepero day is totally manufactured either, it looks like such delicious fun! The “white” is most likely white chocolate. If anything, it’s even MORE decadent than the regular kind! YUM!! With winter having hit good and hard and now all settled in, a Pepero day sounds just about right! I never heard of Pepero Day before. Thanks for the info. 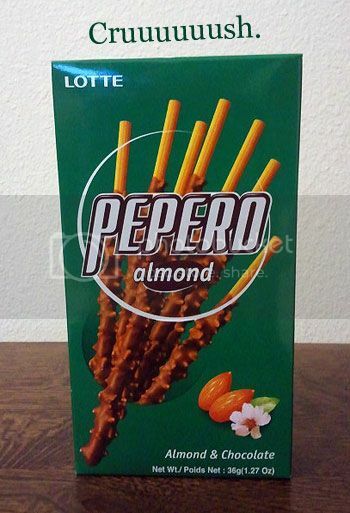 I swear, I typed PEPERO on google and almost went into a diabetic coma after clicking IMAGES on the top. I have the biggest sweet tooth and Pocky looks yummy. Ooh, the almond peppero are my favorite, what an awesome holiday! Thanks for introducing us to Peppero Day! Never had or heard of them but they look good.